Why did the German Democratic Republic last for so long - longer, in fact, than the Weimar Republic and the Third Reich combined? 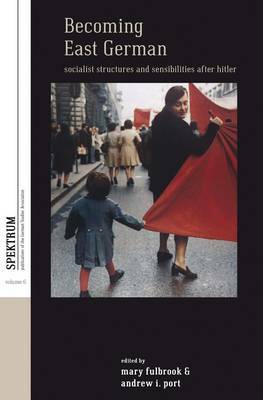 This book looks at various political, social, and economic conflicts at the grass roots of the GDR in an attempt to answer this question and account for regime stability. A local study, it examines opposition and discontent in Saalfeld, an important industrial and agricultural district. Based on previously inaccessible primary sources as well as on interviews with local residents, the book offers a novel explanation for the durability of the regime by looking at how authorities tried to achieve harmony and consensus through negotiation and compromise. At the same time, it shows how official policies created deep-seated social cleavages that promoted stability by hindering East Germans from presenting a united front to authorities when mounting opposition or pressing for change. All of this provides an indirect answer to perhaps the major question of the postwar period: Why did the Cold War last as long as it did? 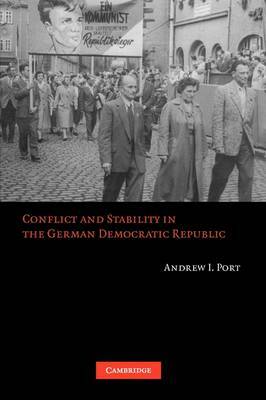 Buy Conflict and Stability in the German Democratic Republic by Andrew I. Port from Australia's Online Independent Bookstore, Boomerang Books. Andrew I. Port is an assistant professor of history at Wayne State University in Detroit. He earned a Ph.D. in history from Harvard University and a B.A. in history from Yale University. He has published articles in Social History and the Frankfurter Allgemeine Zeitung. Professor Port is a research associate at the Center for Russian and East European Studies at the University of Michigan in Ann Arbor, and he was a visiting scholar at the Zentrum fur Zeithistorische Forschung (Center for Contemporary Historical Research) in Potsdam, Germany.